The Financial Manager's Guide to Asset/Liability Management has proven to be a useful pocket guide for seasoned asset/liability managers and analysts throughout the financial institutions industry. Annotation - A most popular addition to our list of publications has been The Financial Manager's Pocket Guide to Asset/Liability Management, a convenient resource which includes terms, tools, and acronyms used in the financial institutions industry. This handy primer deals specifically with asset/liability management terms and technology. Moreover, the ALM pocket guide includes a listing of currently available ALM software vendors and ALM-related Internet addresses and Web sites. The pocket guide also contains an overview of the more popular vendors in the field of asset/liability management consulting. As the outsourcing concept has continued to grow in popularity throughout the financial institutions industry, the identification of outsourcing vendors is an important and welcome addition to The Financial Manager's Pocket Guide to Asset/Liability Management. The ALM service provider list contains a synopsis of the services offered by each vendor such as consulting, modeling, regulatory reporting, and training, along with each vendor's telephone number and contact. "Mary Brookhart's The Financial Manager's Pocket Guide to Asset/Liability Management is a handy reference tool for beginning ALM practitioners to quickly wrap their arms around rapidly changing asset/liability terminology." "Asset/liability management is a relatively new and complex financial discipline. 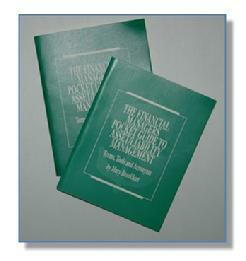 The Financial Manager's Pocket Guide to Asset/Liability Management provides a comprehensive high-level overview to the myriad concepts, products and nomenclature essential to a thorough understanding of ALM and its importance to the sound and profitable management of financial institutions." Jon Kozlowski, SunTrust Banks, Inc.
"Southeast Consulting's The Financial Manager's Pocket Guide to Asset/Liability Management is an excellent reference resource regarding important ALM terms used within the banking and finance industry. It is useful for both those new to the industry as well as experienced ALM professionals."